NFL Week 12: Happy Thanksgiving Everyone! Matt Ryan and the Falcons desperately need a win on Thanksgiving to keep their playoff hopes alive (Photo credit: Ryan Kang via AP). Boy what a tough break (literally) for the Skins. Your heart aches for Alex Smith, one of the real good guys of the NFL who had the Skins in the driver’s seat for a division title. But now it’s Colt McCoy’s turn. McCoy has had his occasional moments, namely upsetting the Patriots in 2010 while with Cleveland, but this may be too big of a shock for the Skins to absorb on the short week. The Cowboys are suddenly feeling it, both offensively with the addition of Amari Cooper but specifically on defense. I don’t think it will be a blowout, but for all the questions we had at one point about Dallas’ offense, it’s safe to say there will be just as many about the Skins’ offense. Even in a Texas homecoming for McCoy and Adrian Peterson, I don’t see Washington having enough to hang tight. Pick: Cowboys. I keep getting burned picking against the Saints… and yet I’m going to keep doing it. Well, sort of. The Saints look unstoppable, akin to their 2009 championship club. The defense has been impressive even getting lost in the glow of the juggernaut offense. And, of course, Atlanta just lost at home to Dallas, further denting their already-dim playoff hopes. So this all points to a Saints blowout, right? That’s why I’m going against conventional wisdom. Yes, the Saints will win. Yes, they very well might win by double-digits. But this is a rivalry game, and these teams went to overtime back in Week 3 before the Saints finally won. 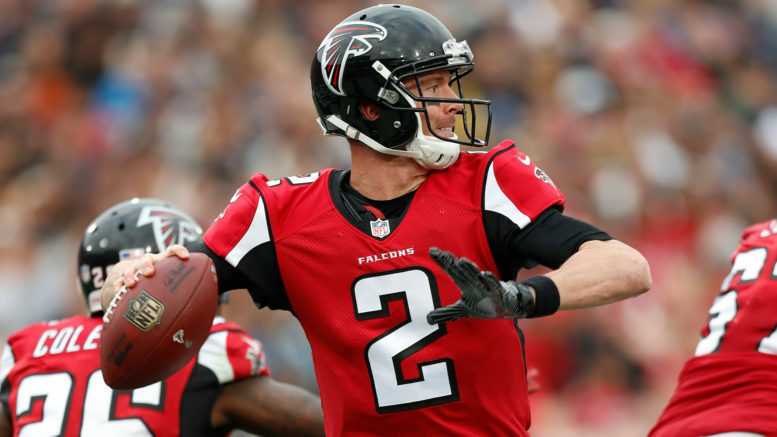 Atlanta has to play with a sense of desperation and urgency, and there’s always the possibility of an offensive outburst for the Falcons. Atlanta may be 4-6, but it’s not really Matt Ryan’s fault. Ryan is fifth in the NFL in passer rating and has 22 TD passes against just 4 picks. If there ever was a time for him to put the team on his back, it’s now. Pick: Falcons. Be the first to comment on "NFL Week 12: Happy Thanksgiving Everyone!"